We have a new arrival from south of the boarder and we couldn’t be more excited to have this brew in house. 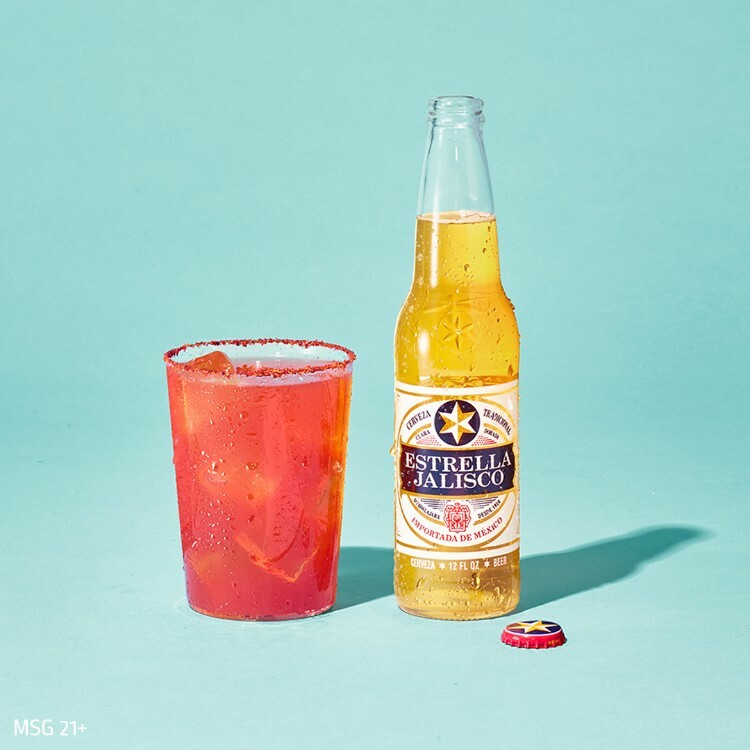 Estrella Jalisco is a premium, 4.5% ABV Mexican pilsner with a pale, beautiful golden yellow color and a refreshingly light, crisp flavor with no aftertaste! We are celebrating with a few Micheldas during the super bowl this weekend! Spicy Mexican Beer Micheladas are light, refreshing tomato juice beer cocktails. Sip at brunch or on lazy relaxed weekend game days. If you like Bloody Mary’s then you will love this refreshing light beer cocktail. In each glass, add a cup of Clamato, Maggin Seasoning, Worcestershire Sauce, a dash salt, and pepper. Garnish with limes and celery!